At about 8 p.m. Ingenito armed himself with a Luger, a Mauser C96, and a .32 caliber rifle and drove to his 21-year-old ex-wife Theresa Mazzoli's house. He shot Theresa and his father-in-law Michael. When his mother-in-law Pearl fled across the street to her parent's home, Ingenito followed and shot her mother Theresa Pioppi in the doorway, then stepped over her body to shoot and kill his wife's pregnant aunt Marion Pioppi. He wounded his wife's nine-year-old cousin Jeannie, then shot and killed Pearl Mazzoli who tried to hide in a closet. Ingenito also killed Pearls's brother John who had chased after Ingenito with a knife. Ingenito continued his killing spree, driving to Minotola where Theresa's aunt and uncle Frank and Hilda Mazzoli lived. He shot both of them in front of their two younger children. Although critically wounded both survived. 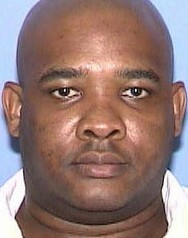 Triple murderer Shannon Charles Thomas is executed by lethal injection at the age of 34 in Huntsville Prison, 815 12th Street, Huntsville, Texas, United States.